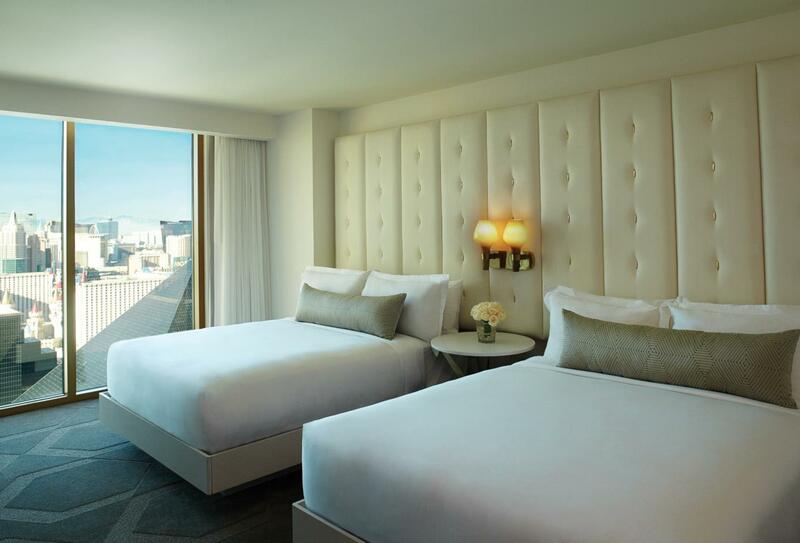 Delano Las Vegas brings an entirely new boutique experience to the Las Vegas Strip. 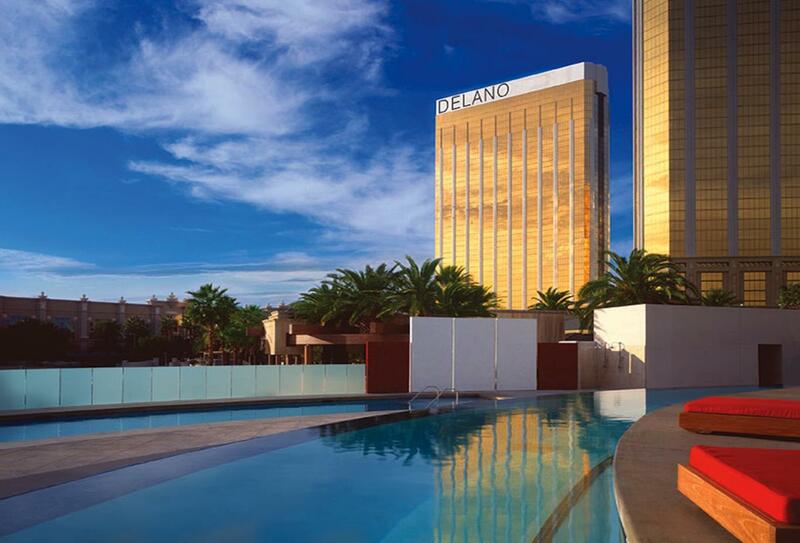 The famous Delano from Miami Beach has created an artful oasis in the heart of vibrant Las Vegas. Fusing personalised service and high concept design, Delano Las Vegas delivers an unexpected touch of individuality, creating an intimate experience within the private second tower of the Mandalay Bay Resort Complex. 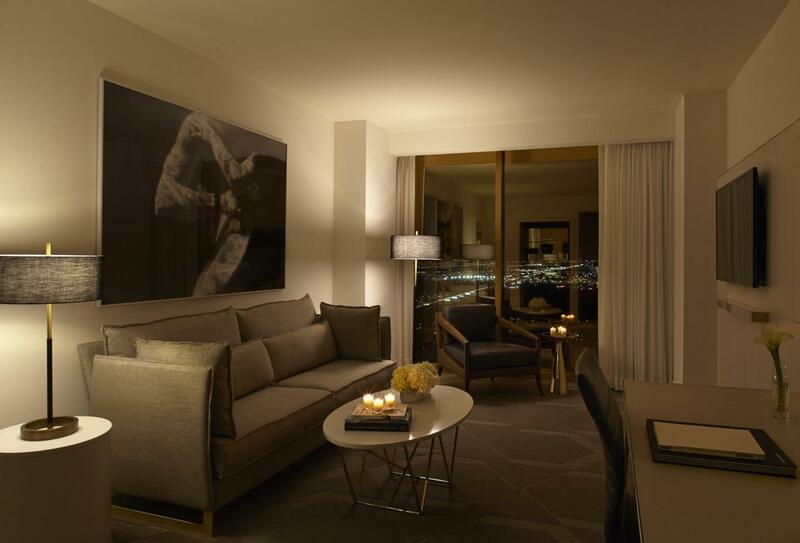 With floor to ceiling windows and 180 degree panoramic views, this suite brings style and sophistication to the strip. 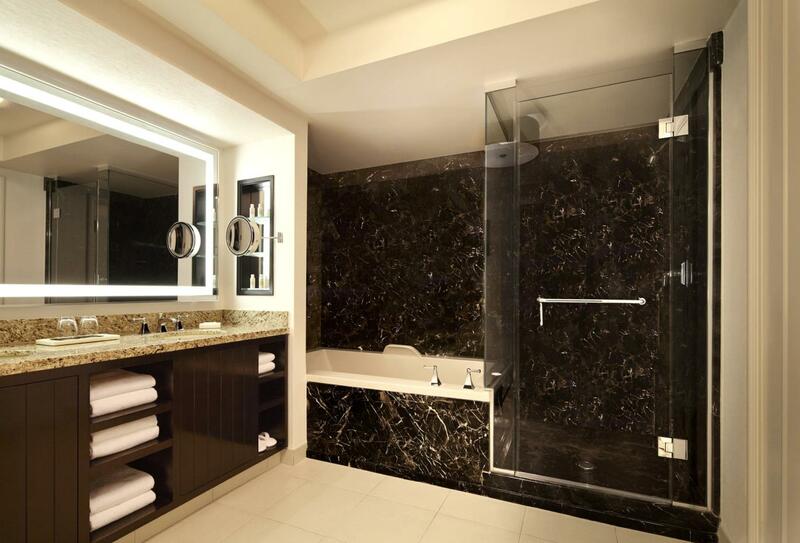 Each suite features a private bedroom with a spacious spa-style bath, and separate living room with its own powder room. 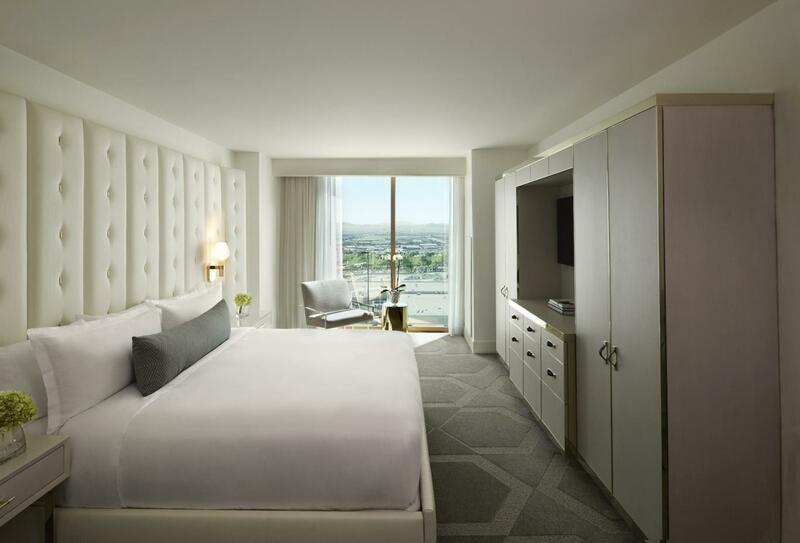 Featuring a clean colour palette of whites and neutrals, the suite incorporates Delano's iconic window sheers, crisp white linens and oversized tufted headboards, updated with playful gold accents for a bold and modern touch. This plush retreat is the perfect oasis. Featuring a clean colour palette of whites and neutrals, this spacious suite incorporates Delano's iconic window sheers, crisp white linens and oversized tufted headboards, updated with playful gold accents for a bold and modern touch. 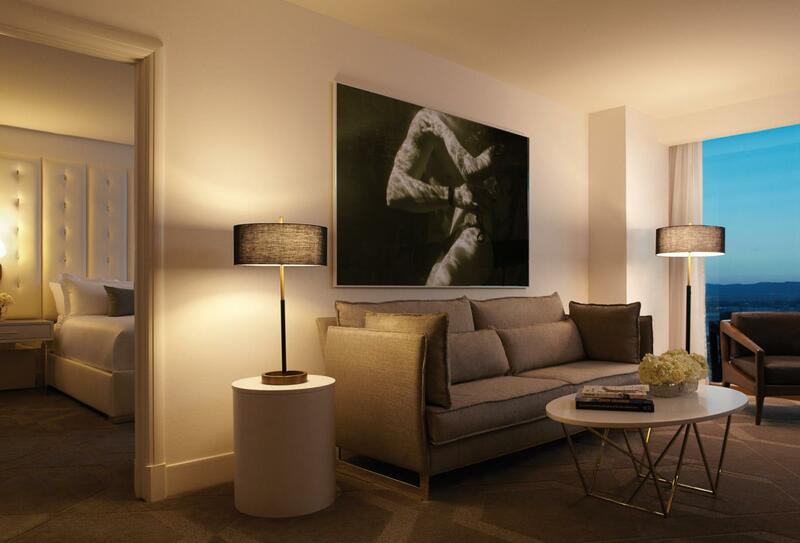 Each suite features a private bedroom, a spacious spa-style bathroom and separate living room with its own powder room. Mediterranean-inspired restaurant by internationally celebrated chef Alain Ducasse. 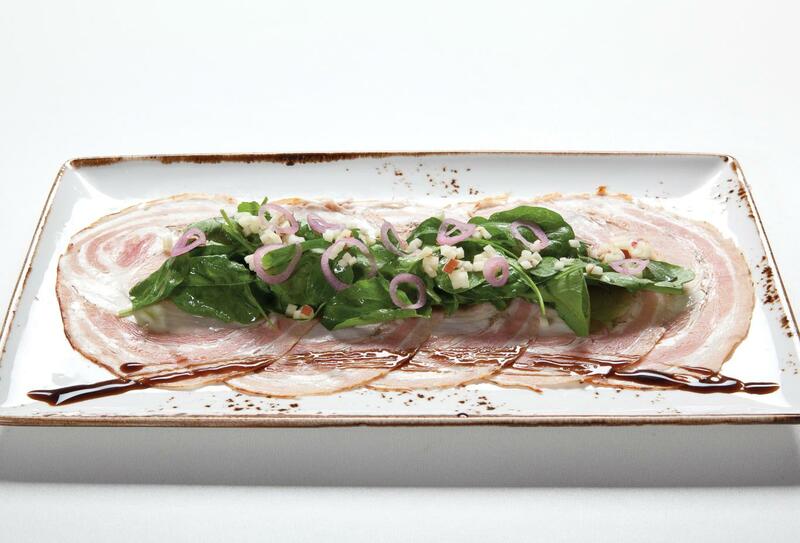 Steps from the Delano lobby, it exudes a warm, comfortable simplicity that quietly entices you to savour each bite and treasure every encounter. There's an essence of “historic farmhouse meets urban kitchen,” here where breakfast and lunch are a combination of classics, comfort food and seasonal specialties created from fresh, locally sourced ingredients. Enjoy craft cocktails, Cubano Sliders and converse in the seductive lobby bar featuring a deep colour palette of dark blues and bronze. Tiny lights descend from the ceiling to create the effect of fireflies in the evening sky. Gold lighting accents and cocktail tables add a touch of glamour to the room. 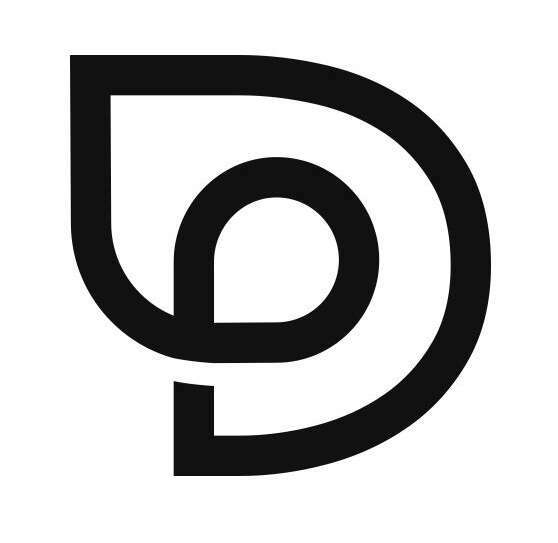 As the day turns to night, immerse yourself in the sounds of DJ’s and eclectic beats. Comfortable retreat where you can unwind beside a marble fireplace or in the alluring living room and enjoy quick bites, refreshing beverages, artisanal teas, freshly squeezed juices, signature coffees, or signature menu items such as Nutella and Raspberry Crepes. Guests have full access to a wide range or restaurants, bars, lounges and nightlife at the Mandalay Bay Hotel. Enjoy the sounds of indie artists while savouring small bites, signature cocktails and poolside massages at this wonderful beach club with wet deck, private cabanas and oversized chess board. Located at the southern end of Las Vegas Boulevard (‘The Strip’), Delano is on the same complex at The Mandalay Bay with a casinos, golf and the city close by for exploration.